Labour leader Jeremy Corbyn has accused the Israeli Army of “committing wilful killings” that constitute “war crimes,” during demonstrations in Gaza. The Jewish Chronicle claims they have seen a briefing document sent by Corbyn’s office to Labour MPs outlining their assessment of violence witnessed during Palestinian protests to mark the 70th anniversary of their Nakba or “catastrophe”. 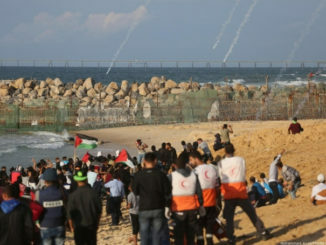 More than 130 Palestinians were killed and nearly 14,000 injured between March 30 and June 7 during the ‘Great March of Return’. Israel blames Hamas for the loss of life, claiming they ordered Gazans to breach the border fences between the two peoples. 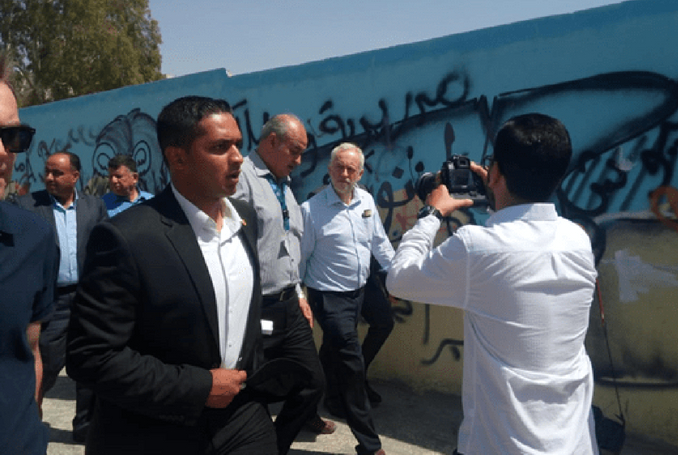 It comes after the Labour leader has recently returned from a trip to Jordan where he visited Syrian and Palestinian refugee camps. During his visit to Al-Baqa’a refugee camp on Saturday, which homes 100,000 Palestinians, he told reporters that his party would immediately recognize Palestine as a state if they gained power. In Jordan, I went to Baqa'a, one of the largest Palestinian refugee camps. He called for Theresa May’s government to increase its financial support to the UNRWA [United Nations Relief and Works Agency], in light of the United States’ decision to cut more than half of its planned funding to the United Nations agency for Palestinian refugees. The UK abstained in a UN Human Rights Council vote to launch an investigation into the killings, although they – along with the US, which rejected the motion – failed to stop the inquiry from being initiated. Commenting on the UK’s abstention from the vote, the London-based anti-poverty charity War on Want said: "It’s disgraceful that the UK has abstained from a UN Human Rights Council vote for a Commission of Inquiry into Israel’s killing of unarmed Palestinians in Gaza." Jeremy is truly a very brave man. 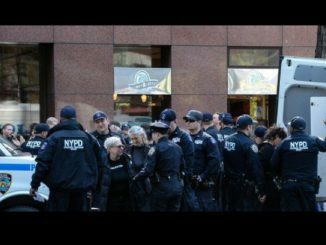 Opposing the Israeli government is a very risky mission which can end one’s career – or, in some cases, one’s life! That’s why so few have ventured into such dangerous territory. However, now may be the time to challenge Israel and the ideology (pathology?) known as Zionism. Evil, as we all know, eventually undoes itself, and the evil of Zionism is no different!